Percussionist Joe Bilardo hails from of Cleveland OH. Some of his family members were the first musicians to perform on local radio. Joe’s father Sam and Uncle Vince were active on the music scene in Cleveland and afforded to Joe many opportunities in music at an early age. He studied with Charlie Wilcox, Jim Chapin and Harvey Mason. Joe’s family background exposed him to a wide range of musical styles including classical, jazz, big band, bebop, funk and rock. 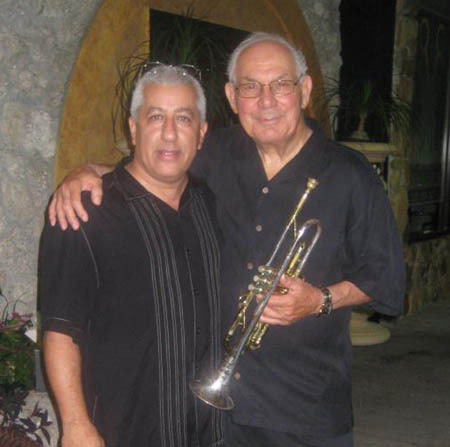 Through his family connections, Joe became familiar with great jazz musicians such as Jim Hall, Pat Metheny, Joe Lovano, Joe Howard, Ellie Frankel, Clyde McCoy, Ray Anthony, Count Basie, Pearl Bailey, Clark Terry, Marilyn Maye and many more. A typical weekend for the teenaged Joe Bilardo: a big band show at Blossom Music center, Rock and Roll with one of Cleveland’s 60s hit-makers, Saturday playing James Brown-style Soul, and Sunday with the Polish Ballet on tympani. Joe studied formally at Kent State and Cleveland State Universities in Ohio. His playing career took him to many venues in Ohio as well as Las Vegas and Lake Tahoe, among others. Currently in Ft. Myers, FL, Joe works as a free-lance drummer and also as a network specialist for Lee County FL public schools. He appears every Monday night at the Roadhouse Cafe Ft. Myers with the Joe Delaney Trio.